SANFORD - Central Carolina Community College has been ranked among the best in two categories in the latest BestColleges.com rankings. CCCC is ranked ninth among the two-year schools in the Best Colleges in North Carolina rankings and is ranked ninth among the online associate degree programs in the Most Affordable Online Colleges in the United States rankings. "We are very excited to receive these recognitions about the value and quality of an education at CCCC," said CCCC Board of Trustees Chairman Julian Philpott. "These recognitions demonstrate the hard work and commitment of the trustees, administration, faculty, and staff to deliver outstanding educational value to the students who come to CCCC to receive their degrees and certificates. On behalf of all the CCCC trustees, I want to congratulate everyone who has worked so diligently to make CCCC the outstanding educational institution it has become." CCCC President Dr. T. Eston Marchant says that the college is very proud to be included in this year's ranking of the best colleges in North Carolina. "This, along with our outstanding results on the state's Performance Measures, demonstrates the dedication our faculty and staff have to teaching and learning," he said. CCCC is one of only four of North Carolina's 58 community colleges to have met or exceeded the excellence level in at least four areas of the 2015 Performance Measures for Student Success report announced in June by the N.C. Community College System. In BestColleges.com ranking of best schools in North Carolina, the website notes: "These rankings are based on a series of performance metrics used to evaluate schools, as well as reports provided by schools to the National Center for Education Statistics." BestColleges.com wrote about the online associate degree programs rankings: "A cheap education is by no means a lesser education. While average tuition cost for two-year schools has risen 3.3% nationally since the 2013-14 academic year, the schools on our list have kept their online programs affordable without losing quality." Dr. Linda Scuiletti, CCCC Associate Vice President, Student Learning & Strategic Planning, noted that these recognitions demonstrate that the college's first-rate faculty and staff are committed to facilitating student success. "At Central Carolina, every employee is passionate about supporting the learning process, and it shows," she said. "This college is a special place. We live out our mission day-by-day as a catalyst for individual, community, and economic development," said Dr. Brian S. Merritt, CCCC Vice President of Student Learning and Chief Academic Officer. "Our students are empowered with accessible learning opportunities, and they make the most of their experiences here! I am so proud of Central Carolina!" "CCCC is one of the best community colleges in the state not only because of our robust associate degree offerings, but also because of our partnerships with business and industry that create opportunities for our students to pursue short-term training options, apprenticeships, and co-ops," said Dr. Pamela G. Senegal, CCCC Vice President of Economic and Community Development. "Students leave CCCC not only with a credential that is valued in the workplace, but they also leave with the overall skills to succeed far into the future." Amanda Carter, CCCC Center for Teaching & Learning Director, said that the college allows students to complete online associate degrees and transfer to a four-year university. "As both a director and graduate of Central Carolina Community College, I know the importance of finding affordable options to meet each individual's educational goals," said Carter. "CCCC's online courses are educationally equivalent to the universities, but are available at a fraction of cost." 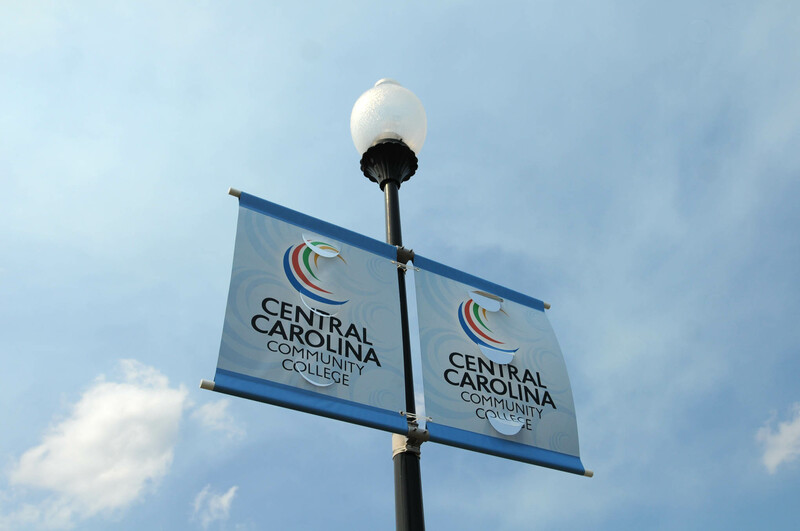 Central Carolina Community College is a public coeducational institution with campuses and centers in Chatham, Harnett, and Lee counties. The college offers a wide variety of associate degree programs, as well as diplomas and certificates in curriculum, continuing education, and adult basic education. Some programs are offered entirely, or in part, via online distance education. For more information about CCCC, visit www.cccc.edu. Central Carolina Community College has been ranked among the best in two categories in the latest BestColleges.com rankings.